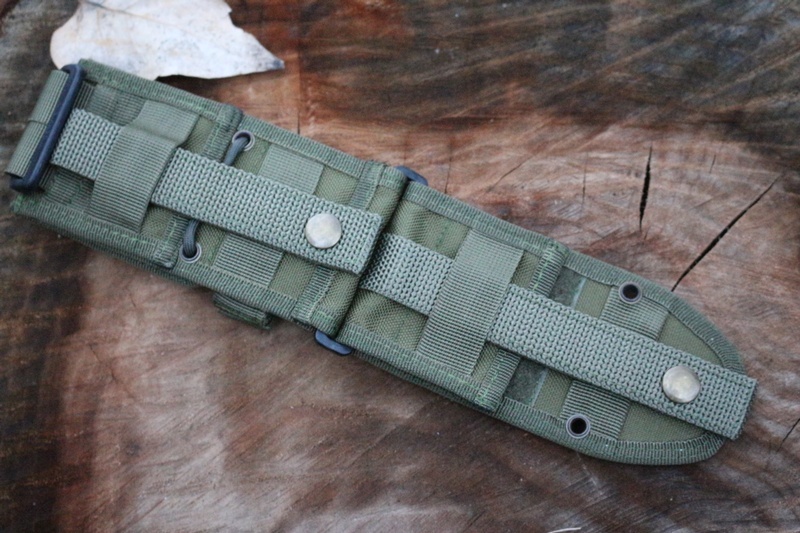 MOLLE Back: This MOLLE back fits both the ESEE-5 and ESEE-6 hard sheaths.Simply align the holes in the lower portion with the holes in the sheath and use the four screws and posts provided to securely fasten the MOLLE back to the sheath. The top of the MOLLE back has both an adjustable handle retention strap and a flap that can be slipped over the pommel end of the knife and secured tight with the paracord and cord lock, making the ESEE-5 or ESEE-6 sheath jump safe. Both the top portion and lower portion of the MOLLE back have a built in belt loop and have MOLLE straps compatible with the military and LEO PALS system The top portion of the MOLLE back can be removed from the bottom portion by unsnapping the lower MOLLE strap and threading it through the plastic ring holding the two halves of the MOLLE back together. 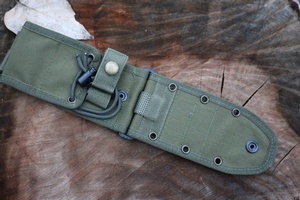 You can then thread the strap back through an extra plastic ring (provided) before re-threading the strap through the lower cross straps to secure it to a belt or gear again.The extra plastic ring allows you to retain the extender capability when only using the lower portion of the MOLLE back. 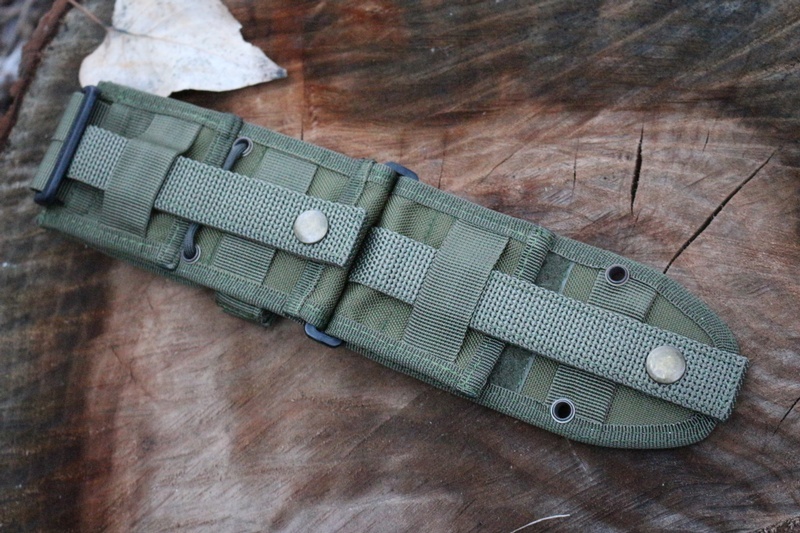 As with any MOLLE strap system always thread the long strap under the last cross strap right above the snap to make sure the snap stays securely fastened.Failure to do so can result in unwanted release of the snap under extreme stress. Purchase through PayPal by using the "Add To Cart" button above or use the form below to order the ESEE 5/6 Molle back OD . Feel free to contact us if you have any questions about the ESEE 5/6 Molle back OD .